“If no official reaction from the American administration follows, it would mean state cyberterrorism exists in the US. If the threats of the attack, which were published by the US media, are carried out, Moscow would be justified in charging Washington,” Russian Foreign Ministry spokesperson Maria Zakharova said, according to the ministry’s website. The report was based on the account of a senior US intelligence official and top-secret documents. 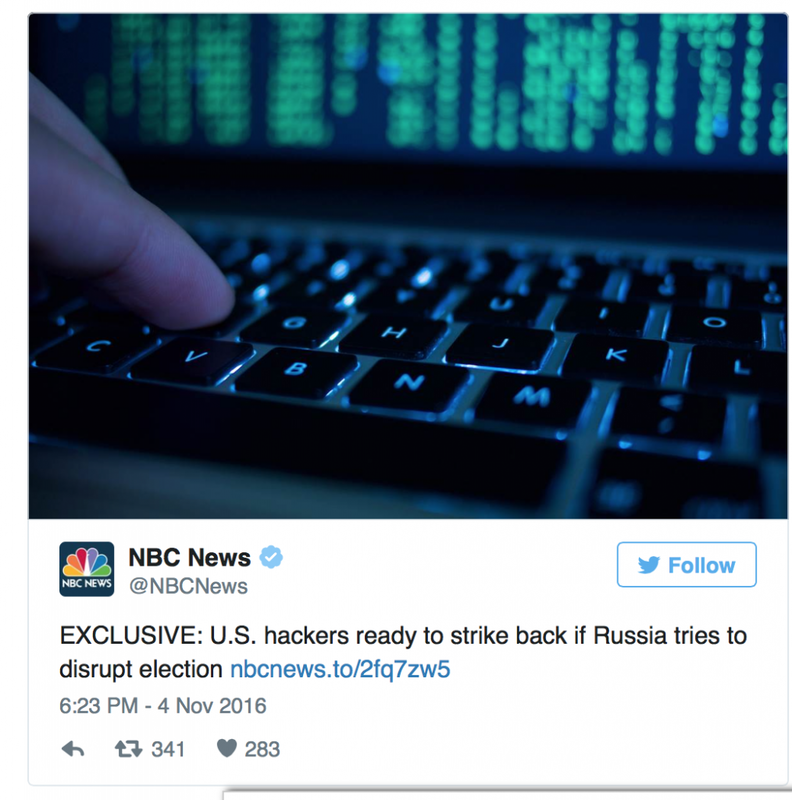 NBC said the hack was carried out in preparation for waging a full-scale cyberwar with Russia. US officials earlier alleged that countries like Russia and China could use hackers to disrupt American power grids and other crucial infrastructure. Moreover, US presidential candidate Hillary Clinton’s allegations that Moscow engaged in hacking to damage her bid for the White house have become a major issue in the ongoing US election campaign. 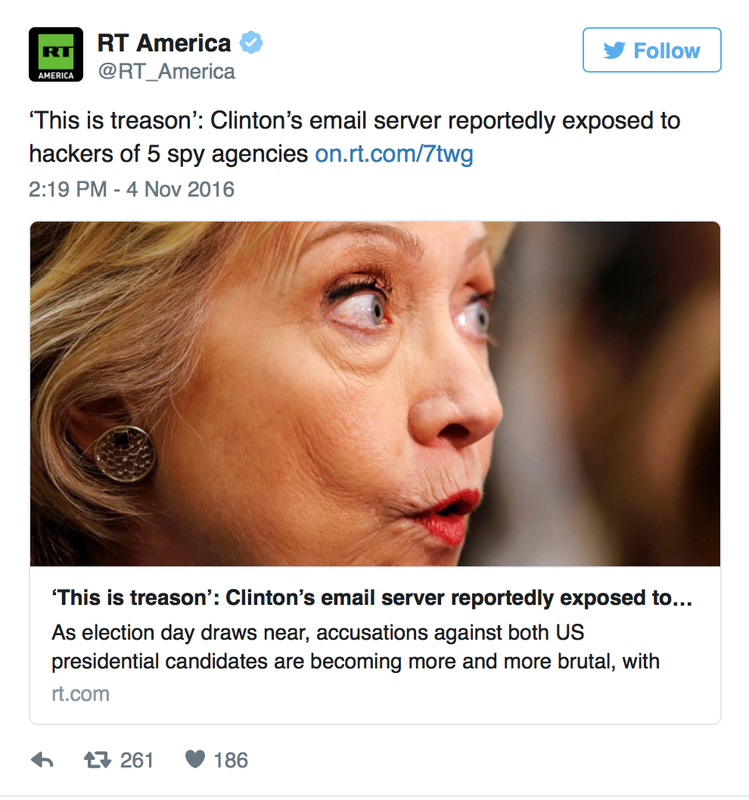 Though she provided no proof, the Democrat candidate accused the Kremlin of hacking into the Democrats’ computer networks and publishing sensitive information in order to swing the election in favor of her GOP rival, Donald Trump. In particular, she claimed that Russia had supplied the whistleblower website WikiLeaks with emails hacked from the account of her campaign chair, John Podesta. Russia has repeatedly denied the accusations, asserting that it has no interest in influencing the election and questioning whether such publications would even have a major impact on how Americans would vote. No hard evidence of the alleged Russian hack has ever been made public, despite media reports claiming that US intelligence communities are “convinced” of the Kremlin’s guilt. The idea that Russia is trying to harm the US through hacking and needs to be deterred is “preposterous,” American private investigator and writer Charles Ortel told RT. “Hillary is a master. Back in the days when her husband was under threat, she suggested that there was a vast right-wing conspiracy. Now there is supposed to be a vast crazy conspiracy involving the FBI and Russia. It’s just fantasy land to me,” he said. So far, the only country with a record of conducting cyber-attacks on other nations is the US itself. An operation called ‘Olympic Games,’ which was reportedly conducted by the US in corroboration with Israel, involved infecting the computer networks of Iranian uranium enrichment facilities with a computer virus that affected industrial controllers of centrifuges in order to destroy them. The operation is said to have significantly damaged Iran’s production of nuclear fuel at the Natanz site. Washington apparently decided to go public about it after the virus, dubbed Stuxnet by the IT community, escaped and was identified by major cybersecurity companies.